The trade war, a cooling world economy, and growing uncertainties in the domestic market – the problems faced by the Chinese economy seem to be mounting. The typical image of the Chinese dragon depicts a massive, wingless, bulk-headed reptile only distinguishable from a snake by its four clumpy legs. Comparing the Chinese economy to this fabled creature, I propose the four legs keeping the entire creature aloft to be consumption, export, infrastructure and debt. At the moment three of the four legs appear very shaky. While domestic consumption is growing steadily, YoY growth rates in city retail sales where most of the high value added goods are consumed has been on a steady decline since 2010. Since 2015 YoY growth appeared stable, which led analyst to believe sales might surge once more. The trade dispute of 2018 brought in its wake weakened consumer confidence and an end to these hopes. A further slowing in growth is now the most likely scenario. A Pyrrhic U.S. Trade War Victory? The U.S. – China trade dispute was the dominating issue of 2018 even though knock-on impacts are only beginning to manifest. 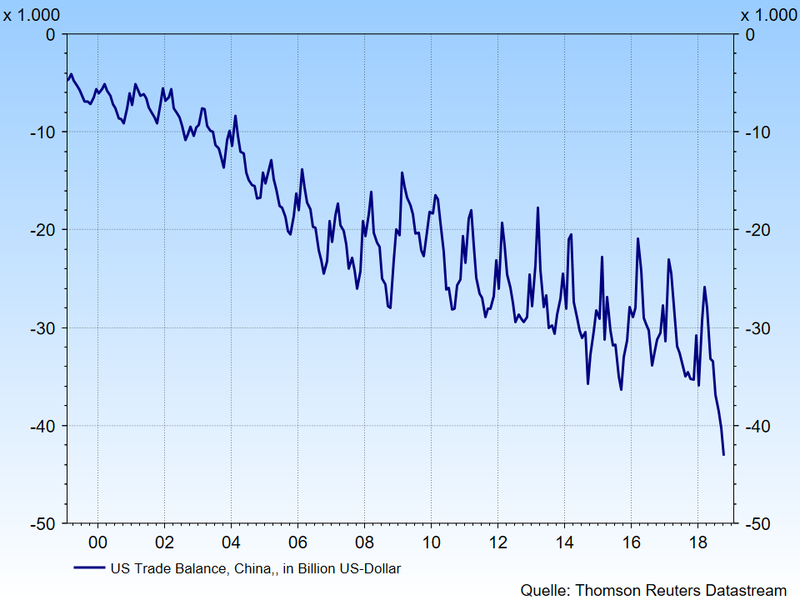 In December 2018, the Chinese trade surplus with the U.S. surged to new records. While there are contradicting explanations for this exceptionally high number, one thing is for certain, Donald Trump and the trade hawks in his administration will take notice. A trade deal grows more elusive and the dispute will continue to weigh down on growth. If consumption is the life blood of the Chinese economy then infrastructure is the backbone. It keeps SOEs afloat and sets the stage for future growth. It primarily depends on two commodities: concrete and steel. After a stellar rally since 2015, steel prices have fallen in 2018 (left chart), signaling a drying up of the infrastructure pipeline. 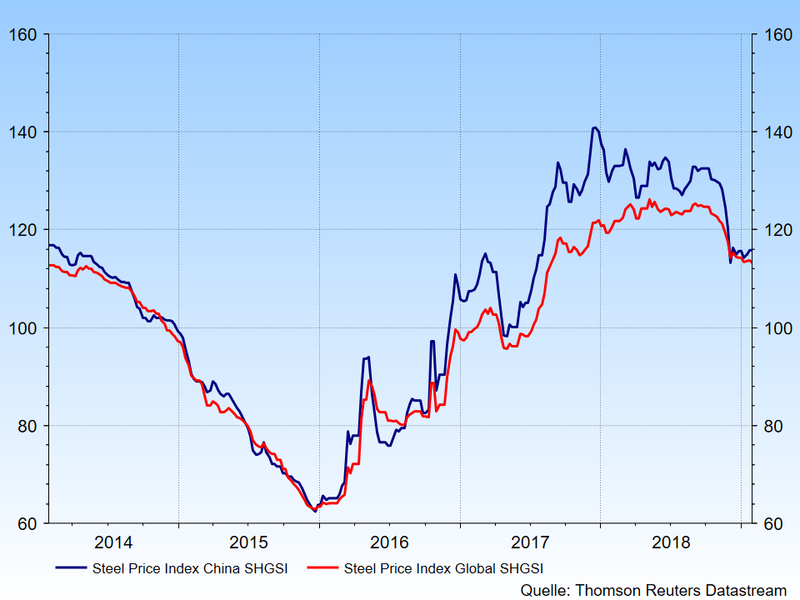 While the latest infrastructure spending spree was poised to end at some point, the sharp inclination in steel prices was a surprise and might herald rocky waters ahead. Three Down, One To Go? 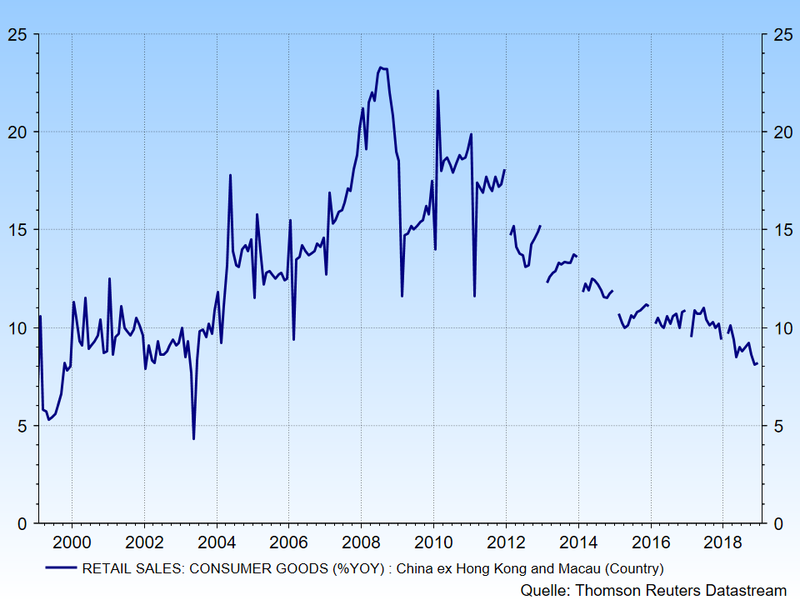 With three wobbly legs the dragon economy now leans on its fourth leg, debt, on which the Chinese government certainly exerts a great degree of influence through the obedient BOC. While debt levels are high already, I believe there is still some room to maneuver before debt levels become worrisome. In conclusion, China finds itself beleaguered by problems, over some of which it has little control. China certainly has found out the hard way what it means to challenge the U.S. economic hegemony and suffered not only national humiliation through the slippery thumbs of a twitter-president, but was also forced to take look in the mirror and acknowledge home-brew problems that were ignored for too long. Whether this will usher in a recession in China (i.e. a period of 5% or lower growth) or simply a period of medium growth is not decided yet, but I put a higher probability on the latter scenario. The Chinese dragon can well enough slither along on one leg alone rather than disappear in a ball of flames. Protectionism: Risk of a trade war with the US?